The AV8 is designed for riders looking for an exceedingly efficient kite to foil with while also offering the attributes of a boost & hang time machine. 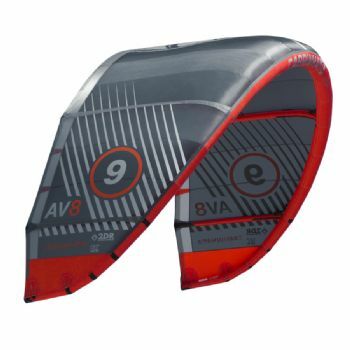 The AV8 kite is a highly efficient 5 strut power source that can facilitate an incredibly high VMG (Velocity Made Good). Its lean profiles and optimized AR deliver the highest level of performance in a light weight inflatable structure. The AV8 flies upwind with speed and an incredibly rigid frame. When riding off the wind, the AV8?s power delivery is full and stable. 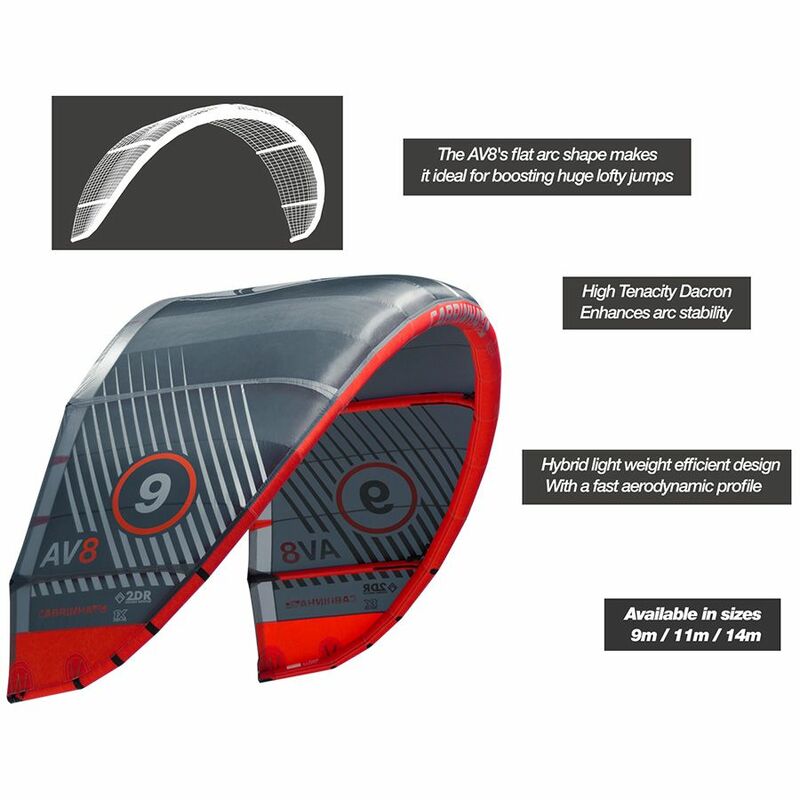 The AV8's flat arc shape makes it ideal for huge lofty jumps combined with silky smooth landings. 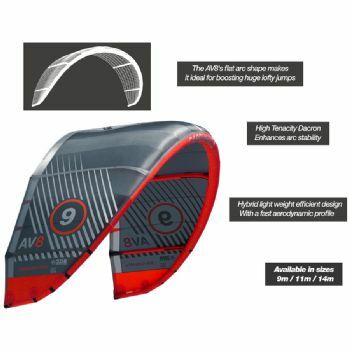 5-Strut, hybrid light weight efficient design, fast aerodynamic profile.